Cherie Dori : Israel is a country of contrast and convergence: an intersection of cultures and the crossroads for trade since the dawn of time. Ancient traditions thrive within modern life.Today camels are juxtaposed with jets and ancient texts are explored as fervently as the frontiers of modern science. The wisdom of the ages provide a solid foundation for innovation. This is fertile ground for creative minds. Drawing inspiration from these influences, contemporary Israeli designers combine old world craftsmanship with leading edge technology. Nelly Kohn, a graduate of Haifa University with a Masters in Art and Modern French Poetry taught art at Yanccodada Museum in Ein-Hod, Israel. Nelly, with her husband Simon, started the Cherie Dori Collection to bring us the finest work of these contemporary artists. 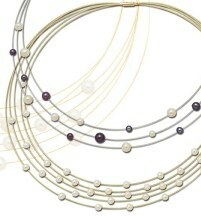 ED LEVIN JEWELRY : Ed Levin began creating innovative and distinctly original jewelry in 1950. He started designing jewelry while living in Buenos Aires and working with a master Florentine jeweler. He brought what he learned back to the United States and founded Ed Levin Jewelry. Using only the finest metals and stones, each piece is individually handcrafted by studio artists in the hamlet of Cambridge, NY. Ed Levins designer jewelry is widely recognized as the classic daily accessory. Never out of style, favorite pieces become cherished family heirlooms. Only a select and limited number of independent retail jewelers throughout the US are authorized to carry the FireMark Princess Cut Diamond. FireMark is not available on the internet, in retail chain stores or through any diamond listing service. Again, please look for the exclusive FireMark trademark lasered onto your diamond’s girdle. Rest assured, these are more than just the finest cut diamonds your jeweler carries. FireMark is the most perfectly cut Princess Diamond there is, in all the world. What do Loretta Young, Olivia de Havilland, Elizabeth Taylor, Rita Hayworth, and the former First Lady, Nancy Reagan, have in common? All are members of a select group of famous screen stars, who endorsed pearl jewelry during the ’40s and ’50s. Through these promotional efforts, Imperial-Deltah has become a force in pearl jewelry. Deltah’s history can be tracked back to 1892 when M.J. Karpeles established a firm specializing in pearl jewelry. The business grew and it was purchased by L. Heller at the turn-of-the-century. In the ’50s, Heller merged with Sperry Corp. and the company was renamed Heller-Sperry. Heller-Sperry sold Deltah to Tevia, Gilbert and Elliott Sachs in the ’60s. The brothers changed the company name to Pearls by Deltah.In 1971, Pearls by Deltah was purchased by its present owners, The Bazar Group. Joseph Gladstone found Imperial in 1917. In 1941, he named the company Imperial Pearl Syndicate. Throughout the ’40s, he created brand recognition by recruiting Hollywood’s finest, including Elizabeth Taylor and Rita Hayworth. In 1969, Joseph Gladstone sold the company to Sidney Weiss, who then sold it to Waltham Watch Company in 1971. In 1977, the company was bought by its present owners,The Bazar Group. On June 1, 1995, Imperial Pearl Syndicate and Pearls by Deltah were merged to form Imperial, Inc. Today, Imperial is one of the world’s leading pearl companies. Lafonn offers extravagant expertly crafted designs in sterling silver, handset with the world’s finest simulated diamonds. Unsurpassed quality and dazzling perfection are the foundation of Lafonn’s brilliance and fire. As a design house and manufacturer with over 30 years of experience in the art of fine jewelry, Lafonn is proud to offer our collection of couture sterling silver jewelry. The moment you touch and handle our jewelry, you will experience the difference. Lafonn products give the opportunity to own a beautiful, well made piece of jewelry at a price that is within reach. 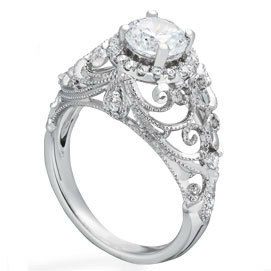 Mercury Ring, in business well over 50 years,is one of America’s leading bridal manufacturers. The Bergman family has been manufacturing jewelry for over half a century and have an excellent reputation as leaders in the industry. Whether you order Engagement Rings, Diamond Wedding Bands, Bridal Sets, Wrap Rings, or Pendants, you will be thrilled with the consistently fine quality of their merchandise.All of Mercury’s diamonds are imported from overseas and are handpicked by their staff of GIA trained gemologists.They supply all ranges of rounds and fancies for centers and side stones and deal in all metals — 14K, 18K, and Platinum. Mercury is constantly creating new jewelry products. Their designs are based on the needs and requests of their clients and customers. Visit the Mercury Ring website. OVERNIGHT MOUNTINGSOvernight mountings have been decking up the fashion savvy with stunning styles and original designs ever since its inception in 1994. 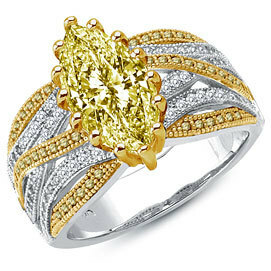 It has evolved to be a one stop shop for all your finished jewelry and diamonds among others. In this family owned business organization, fashion is a way of life where almost daily a new design takes birth! It has an eye popping collection of over 50,000 piping hot styles to retailers in wedding sets, bridal sets, pendants, earrings, cuff links, colored stone rings and many, many more. 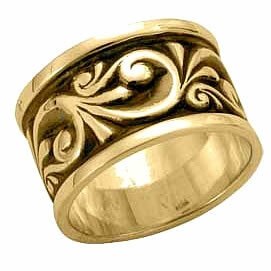 There is finished jewelry in ready stock apart from customized models on any design of your choice. From the shimmering diamond rings to the exquisite and trendy platinum charms and earrings, you have everything that you could ask for under the same roof! Exquisitely crafted earpieces in mother of pearls and semi precious stones are available in a bevy of colors to match your dress color. Elegant and smart, each design is handpicked by the talented craftsmen and made with passion to bring out the ultimate diva in you. If by any chance, you do not find your jewelry in the racks of Overnight, chances are that you might not find it anywhere else on earth! Rembrandt Charms has served the retail jeweler with fine quality charms and charm bracelets for over 30 years. Rembrandt prides itself on its superb craftsmanship, extensive product line and unparalleled customer service. Christopher Lux, president and founder of Rembrandt Charms has a simple business philosophy, “Quality Products, Quality Service.” From the beginning, Chris has been personally involved in establishing relationships with retail jewelers throughout the world to offer our product to the consumer. Rembrandt Charms can only be purchased from retail jewelry stores. We encourage you to visit your neighborhood jeweler, either in person or online and ask for Rembrandt Charms. Stuller is one of the world’s leading and distributors of fine jewelry and jewelry-related products. From nearly 600,000 square feet of manufacturing and administrative facilities in Lafayette, Louisiana,Stuller provides just in time delivery for more than 300,000 different items to over 50,000 jewelry professionals, throughout North America and the world. 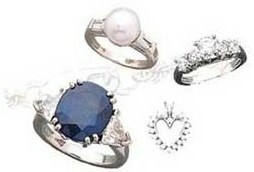 Stuller offers jewelry-related products, from finished jewelry to hand tools, wrapping paper to 6 carat diamonds. Product lines fall into several major categories: finished jewelry; mountings; findings; fabricated metals; loose diamonds and color stones;tools and supplies; and display and packaging materials. Stuller has truly become a ‘one stop’ resource for the jewelry professional. with the Inc. Magazine “Entrepreneur of the Year” award for wholesale distribution in the state of Louisiana. Visit the Stuller website. For over 68 years Belair has been a highly respected manufacturer of popular priced, stylish, high quality timepieces. Belair is proud to be a family owned and operated, American company. We are a union shop. All our watches are either Made in the USA from Swiss parts, or 100% Swiss Made. 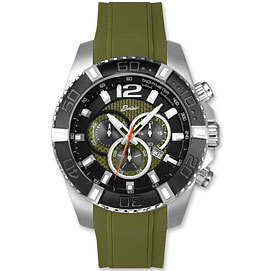 Citizen was established in 1925. Citizen’s founding fathers selected the name Citizen so the company would be “Close to the Hearts of People Everywhere” and soon after adopted the company’s formal name, Citizen Watch Company.